What is a Kentucky Quit Claim Deed? Kentucky Quit Claim Deed: What Is It? 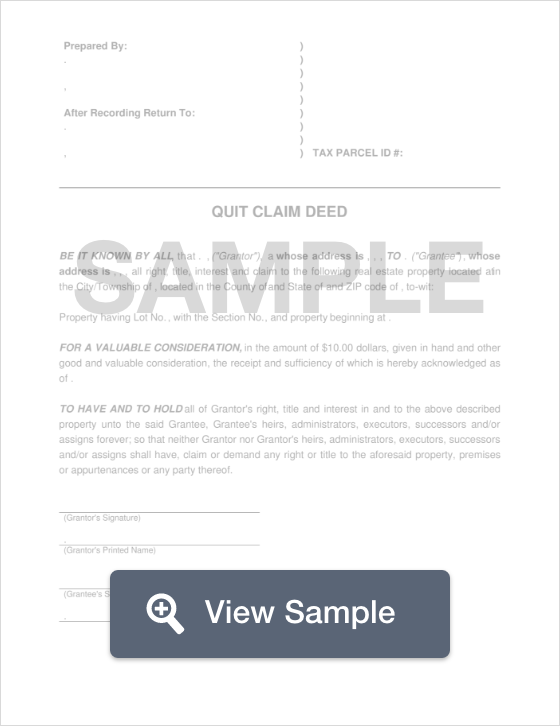 A quit claim deed in the state of Kentucky is a legal document used to convey property within the state. This type of document doesn’t provide any type of warranty or guarantee that the title of the property is clear and free of any encumbrances. Its main function is to ensure that the seller transfers his or her interest to the buyer with a guarantee that he or she will not come back at a later date to claim interest on the property. These types of transactions are usually used in transactions between family members, however, it is highly recommended that the buyer conduct a thorough title search before moving forward with a quit claim deed. Kentucky Law dictates that every quit claim deed be filed with the appropriate County Clerk’s Office. Furthermore, every quit claim deed is filed along with a Consideration Certificate. As far as the deed’s signing, it must be signed by two (2) witnesses, or be witnessed by a Notary Public (KRS 382.130).